Developed and delivered modules for the UK Cabinet Office Emergency Planning College training programs�for Crowd Risk Analysis, Crowd Management, Crowd Dynamics, Crowd Science and the crowd elements of Public Safety at Sports Grounds, Public Safety at Festivals and Mass�Gatherings and Public Safety in the Complex and Built Environment. 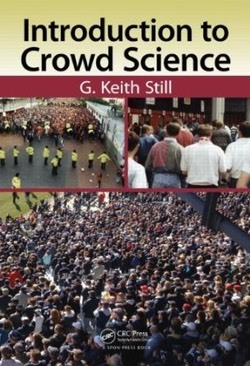 Author of “Introduction to Crowd Science” crowd safety in the built and complex environment. Developed and teaches a wide range of crowd safety and risk analysis short courses, taught around the world. Three decades developing and teaching the principles of crowd science. Crowd Risk Analysis and Safety Engineering, crowd modelling, monitoring and managing crowds, advising on events, experience event safety office. I have consulted, at a Govt. level around the world (UK, Saudi Arabia, Holland, Singapore, Australia, Hong Kong, USA).�For full list - click here.